Colchester narrowly edged out brave non-league minnows Swindon Supermarine 1-0 in a hard-fought FA Cup second-round tie. The Zamaretto League side performed superbly at the Community Stadium on Saturday and had a glorious chance to take a 20th-minute lead when Chris Allen dragged a shot wide from a good position from Ben Wells' incisive pass. And less than a minute later the U's took the lead when David Mooney decisively fired home after Ian Henderson had intelligently flicked on Ashley Vincent's cross at the near post. Henderson fired just over before half-time and Mooney registered two efforts for Colchester just after the break. But Marine were always in the tie and were desperately unlucky not to equalise when Jamie Gosling's effort smacked against the post just before the hour-mark. 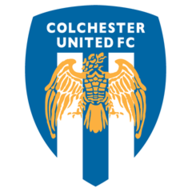 Colchester keeper Ben Williams denied Wells with eight minutes to go and also palmed away a header from his team-mate Paul Reid to prevent, as the U's held on.